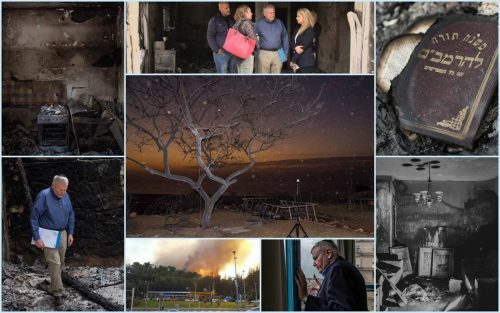 A message from Vered Israely, director of the Haifa-Boston Connection in Haifa, in the aftermath of the fires on November 24, 2016. This week I had the privilege to lead Barry Shrage, president of the Combined Jewish Philanthropies of Greater Boston, through the smoky, pained streets of my hometown. This amazing leader arrived to Haifa to show his solidarity and support within 48 hours after hearing about the raging fires in Haifa. 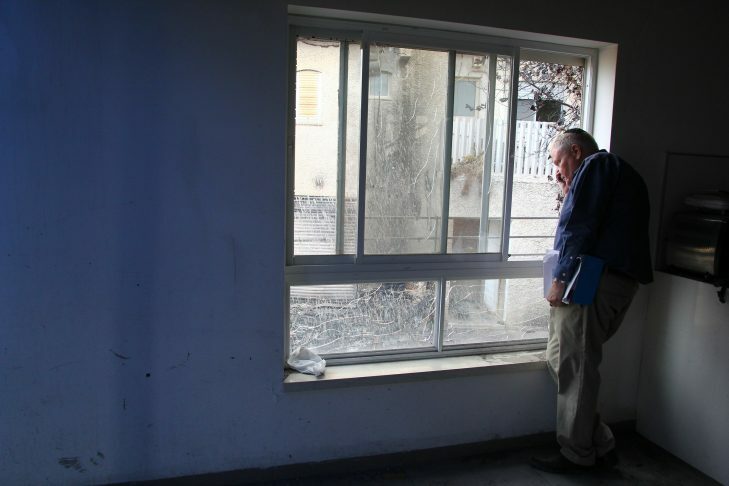 He came to Haifa on behalf of the Jewish Community of Boston to show his care and to see how the community can support us. Together we witnessed difficult scenes, we were impressed with the city’s excellent functioning and rescue services, and met wonderful people. For me, Haifa is a city of unique, strong, high-quality individuals. This week, I saw people whose physical world had vanished in flames, and I also met people with huge hearts who immediately and naturally volunteer to help. In visits to homes burned to the ground, I could imagine Kabbalat Shabbat in the dining room or in the garden that had turned to ashes; a couple lounging on lawn chairs sipping on double espressos under the shade of a tree near the pool, of which not a trace was left; and pretty girls dreaming pink dreams in beautifully designed bedrooms that had also disappeared with the intense wind and fire. I am choked with sadness and have tears in my eyes. I was thinking all the time how lucky we were that it ended this way. I did not want to imagine what kind of disaster could have happened. בָּרוּךְ אַתָּה ה’ אֱלֹהֵינוּ מֶלֶךְ הָעוֹלָם הַגּוֹמֵל לְחַיָּבִים טוֹבוֹת, שֶׁגְּמָלַנִי כָּל טוּב. אָמֵן. מִי שֶׁגְּמַלְּךָ כָּל טוּב, הוּא יִגְמָלְךָ כָּל טוּב סֶּלָה. Click here to donate to the Israel Fire Relief Fund.